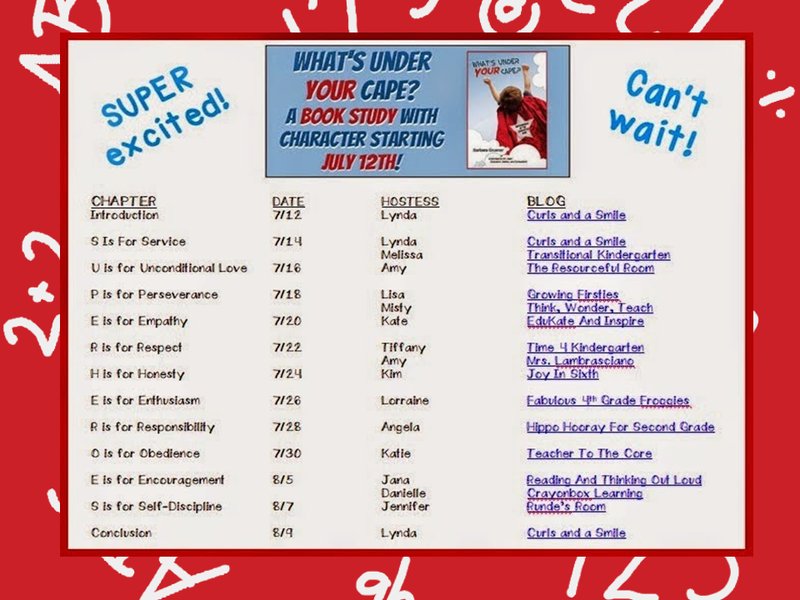 Teach Laugh Plan: Be SUPER HEROES with your students! 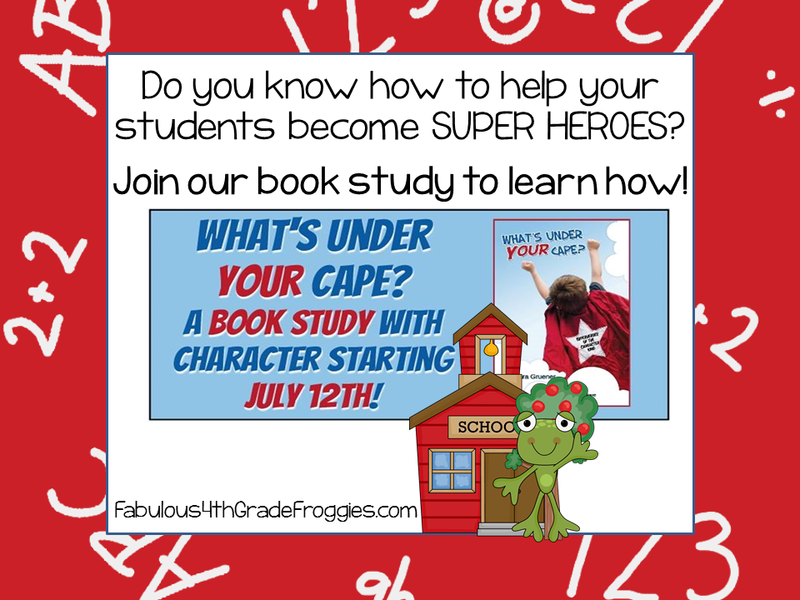 Be SUPER HEROES with your students! As a teacher I want the same for my students, to not only excel academically but to make a positive impact on the world! I am making an extra effort this year to include Character Education in my teaching. I have been inspired by my friend Barbara Gruener and her book, What's Under Your Cape? Barbara was a former teacher for many years and now is now a counselor and character coach in an elementary school here in Texas. You can learn more about the brilliant Barbara and her work on her blog, The Corner on Character. The tagline on her blog is "Connecting to make a World of Difference".... yup, just what I want my kids (the ones I birthed and my students) to achieve! What's Under Your Cape? is a must read for any and all educators! It's not only inspiring but it "shows not tells" how we can create SUPER HEROES in our classrooms. Some of my blogging buddies and I are participating in a book study on this fabulous book! I would love for you to join us as we share our reflections through the next couple of weeks. It's a short, easy read so it will be easy for you to catch up as the book study starts tomorrow. You can buy your copy on Barbara's blog or at Amazon (just click on the pic below). You can also win a copy from the intro post listed below the agenda! You can start with the intro post on Curls and a Smile. It's written by my Fabulously Flawless Friend, Lynda who is also a 4th grade teacher in Texas. I woke up at 5 am and couldn't think of anything better to open up my computer and find this morning. It made me laugh and touched my heart. Thank you, Lorraine, for the beautiful invitation to join the study of my new release. I'm soaring from the outpouring of love and warm fuzzies about my stories and suggestions. I can't wait to meet you in real life and laugh over a coffee or tea! Nobody wants a traffic violation on their driving record. But sometimes they just happen and before you know it you can see the police car in your rear view mirror. Luckily Traffic School 2 U is here to help you take care of that unfortunate traffic violation and help you to get it off your record. YAHOO! YIPPEE! E is for Enthusiasm! Hoppy 4th of July Giveaway!